And so the Merry Days of Saturnalia run out, the Golden Reign of Saturn retreats for another year, and we await the Birth of SOL INVICTUS, the all conquering sun, the liberating light. In German we call the 12 Nights between Winter Solstice and New Year the "Rauhnächte", Hoarfrost-Nights, and it is said the time between Winter Solstice and New Year stands still and the wall between worlds is thin. Also in Rome usually there was no business, until with AGONALIA on January 9th the real yearly activities began again. Let me thank all who shared in fruitful and interesting debate, wise comment, Roman pragmatism and their great education! I will in the coming years, Gods grace given, try to do that better, writing articles, spreading art and hoping even more to get into fruitful debate. May you spent peaceful time with Family or Friends or Loved Ones. And if the Fates made this you be on SOL INVICTUS alone, my even better wishes reach out to you, for you are not alone. We are here together all who follow the Path of the DEI CONSENTES. the Twelve, and they are with you all always! Remember the words of Cicero: Only Good things come from the Gods above! When we think of the Merry Saturnalia and the Imperial Sol Invictus, the more we learn about how the Cultus and the Theology and the traditions were, the more I learn that less has been lost than we think. How many modern festivities, songs and habits are echoes of the past. The rebirth of the SUN is our reminder of the Platonic Lore than all things are truely immortal, the ever gracious Light returns to us, accompanied and welcomed back by the Heavenly Gods. 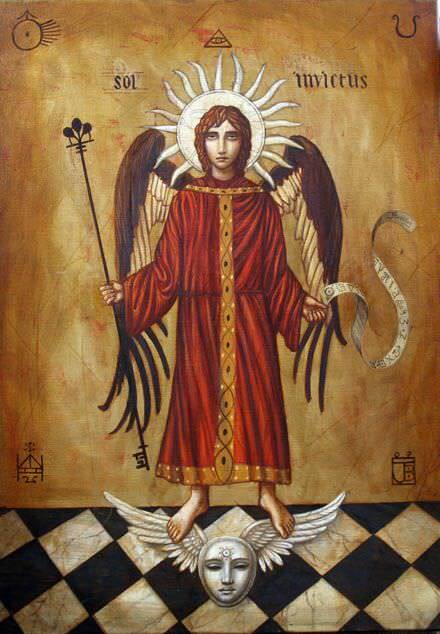 May the Blessing of the Twelve and the Light of SOL INVICTUS be with you and your loved ones, this day, in the Days and Nights between the years, and the coming year 2771 auc.